This morning, SWFBUD met with George Martin, Florida Bicycle Asociations's bicycle laws director, and three members of the Tampa Police Department to discuss bicyclists' rights to be in the traffic lane under certain circumstances and to see if we can start a public campaign to better educate drivers and bicyclists about sharing the road together. Tampa's new police chief, Jane Castor, a veteran bicyclist, made a cameo during the meeting to say hi and check in, mentioning Tampa's "unfriendly streets" for bicyclists. The new chief responded to my email promptly about this issue two weeks ago. 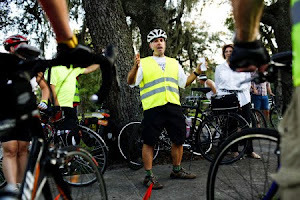 SWFBUD's goal was to offer George's services to help educate Tampa police about bicycle laws and to kick-start a public awareness camapaign about bicyclists and drivers sharing the narrow roads and streets in the Tampa area. This meeting stemmed from a case connected to bicyclist Bradley Marcel, who was cited by a Tampa officer for not being close to the right edge of a road in Tampa even though he had the right to be in the lane because the traffic lane was too narrow and sub-standard in width. That's right folks -- bicyclists are supposed to be as close to the right side of the road as practable, but there are circumstances under the law that permit cyclists to take the lane such as to avoid debris, preparing to make a left turn and when a lane is too narrow. My goal was not to argue Bradley's case before the trio of Tampa police members but to use it as a learning experience and a point of departure to educate officers about a bicyclist's right to be in the lane. 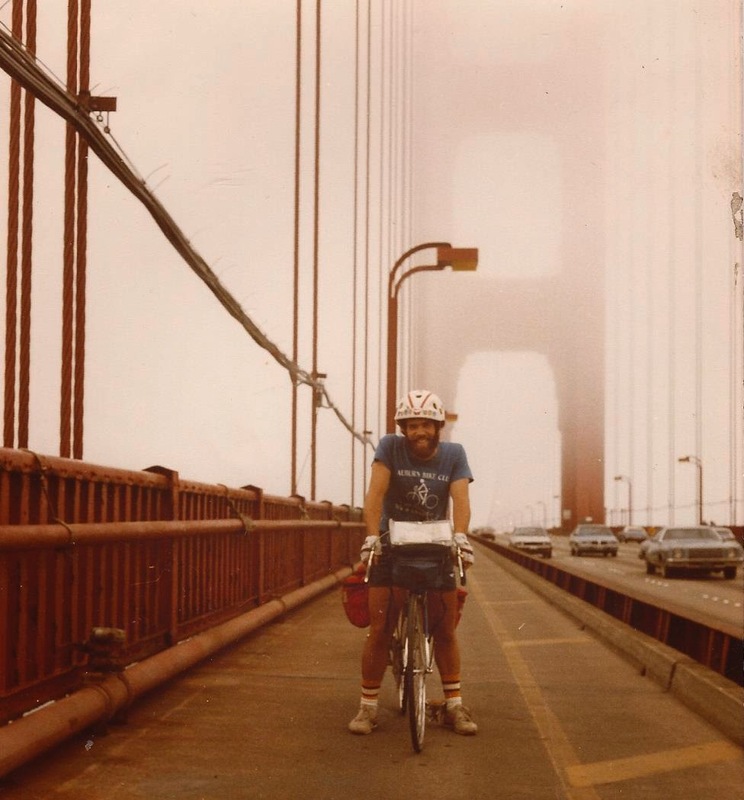 Enter George Martin, a long-time bicyclist and Florida Bicycle Association's bicycle laws director who advises police around Florida about bike laws. George offered his services to the Tampa police and he was well-received. I want to thank John Bennett, Assistant Chief of Police for Operations; Ed Croissant, who teaches Tampa police officers about cycling; and Sgt. Carl Giguere, who spent an hour listening to our concerns and appeared willing to accept George's offer of providing education modules to improve the understanding of bicycle laws. 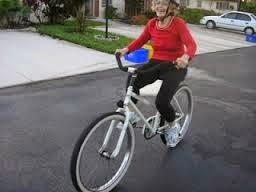 George is working on launching a bicycle laws training program for police and hopes to have a two-hour web-based program ready by the end of next year and the education modules ready to go in a few months. 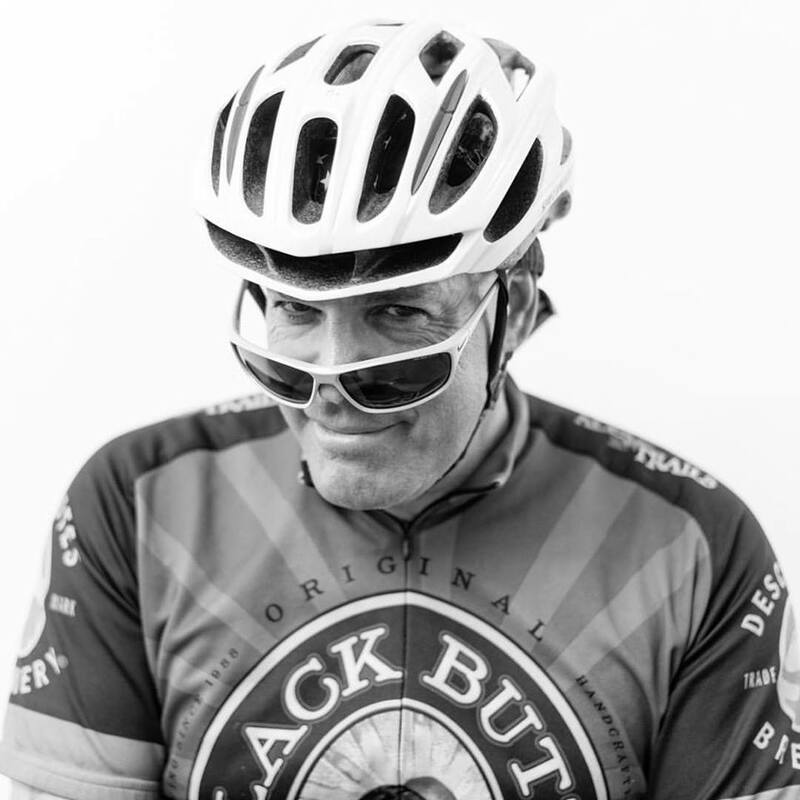 George's big goal is to take his bike education program for police national down the road. Asst. Chief Bennett agreed to refresh a legal bulletin for police officers about a bicyclist's right to be in the lane under certain circumstances; add the www.flbikelaw.org Web site to the Tampa police Web site; add a PDF showing bike routes in Tampa; target schools to educate kids about bicycling and look into getting training from the education modules. He also said police would consider using electronic message boards to advise drivers about sharing roads with bicyclists. Here, George talks with Asst. Chief Bennett, Croissant, and Sgt. Giguere. After discussing bicycle laws with the Tampa Police, George and I took a short ride to SWFBUD member store Streetfit 360 on Gandy Avenue to talk bicycling issues with Streetfit 360 owners Jana and Andy Clark. Then at lunchtime, I enjoyed listening to George discuss the topic of bicycle laws with an ad-hoc group of interested downtown Tampa bicyclists at a brown-bag lunch at the Tampa Downtown Partnership. George talks about bicycle laws with the downtown Tampa bicycle committee today. That's Jim Shirk listening to George. 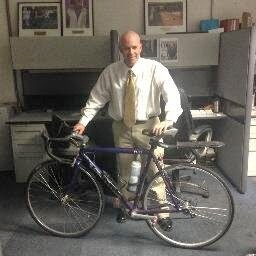 I am a bicyclist who pays the bills as a newspaper writer/reporter. Speaking out to save lives. 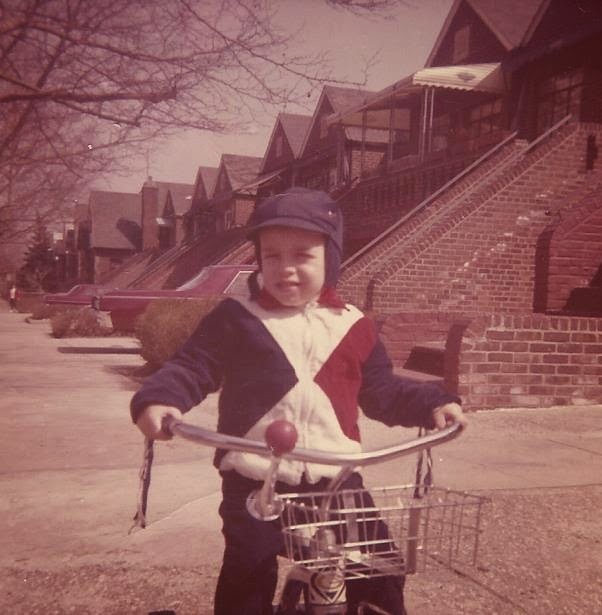 Donned the old-time Bell helmet and pedaled a Schwinn LeTour solo across the country in 1983. Stopped at the Golden Gate Bridge along the way. 2009 is the 30th Anniversary of . . . They're Called "Bits and Pieces"